A lot of fantasy novels follow the same barebones plot structure: a great evil threatens the land and a group of heroes rise to face it in the hopes of restoring peace to the world. If these stories are all one and the same, how can one hope to stand out amongst them? Well, Rob J. Hayes answers that question by setting Never Die in a fictional version of feudal Japan. The story follows Itami Cho, a Shintei working to defend the town of Kaishi. 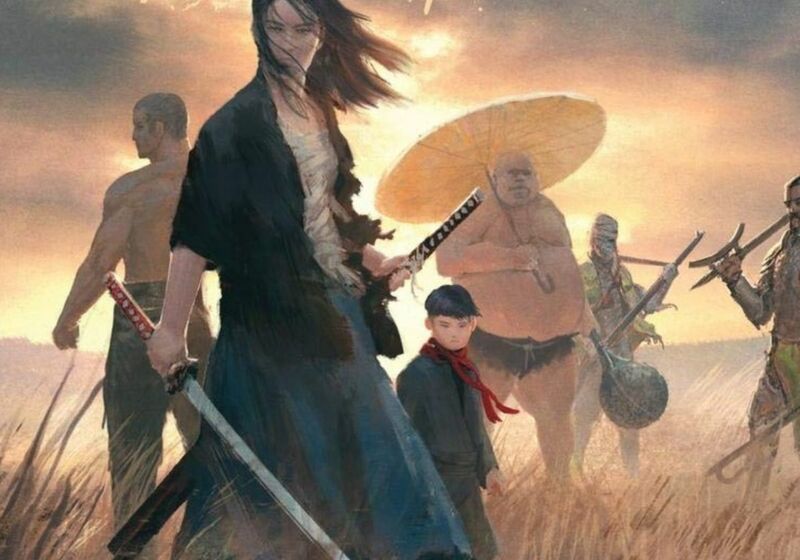 After a group of bandits led by a man called The Flaming Fists lay siege to the town and kill Cho in the process, she is brought back to life by a mysterious boy called Ein, who has spoken with a Shinigami for his power of resurrection. Ein explains he has brought her back because he is to recruit heroes for his quest: to help him kill the emperor Henan Wulong of Hosa. Going into this book, the writer catches the attention of the reader with the prologue — while prologues are typically shorter compared to the rest of the book, Never Die’s prologue is only a sentence long. Afterwards, reading the story, even just looking at the stunning cover art, Hayes is a huge Japanophile: everything from the creatures and beasts like Shinigami – Japanese death gods – and Yokai that the group encounter – vengeful spirits – to Itami’s strong code of honour mirroring that of samurai, the writer has done a extensive amount of research to make this tale feel truly like a Japanese legend. As for the story itself, it’s not really anything terribly unique outside of the setting, but still is an enjoyable read which truly comes into its own in its closing arc. The language that Hayes writes with doesn’t have a particular style or eloquence: it is simplistic and straight to the point. While this lack of complication makes it an easy read, this is also a story which deserves stronger writing — it’s an epic fantasy, the wording should reflect the scope of the book. Perhaps a second edition would be called for. As for the characters, they are what sells the story. Having one of the characters be a leper who wins his battles from afar or with cunning as well as a bandit who questions his place among the group of heroes was a refreshing angle, and it was nice to see Itami not as a sexualised woman or a romantic interest, but more just a woman trying to make her way in the world. Outside of these characters, Chen Lu feels very reminiscent of Xu Zhu from the Dynasty Warriors series. Ein is one of the more interesting characters in the book, and though the reader could probably guess his true nature, his arc is still an interesting one. However, it would have helped the book a lot more if there were additional scenes where the heroes showed off their displays of strength.